Manage Your Social Media Settings With Bliss Control | Brand On! If you have signed up for a lot of social media sites, you know it can be a pain to keep all of your profile information updated. What if you take a snazzy new picture, for example? You have to spend a lot of time figuring out where to go to change that on various sites. Bliss Control is a directory of links to help manage your social media settings. 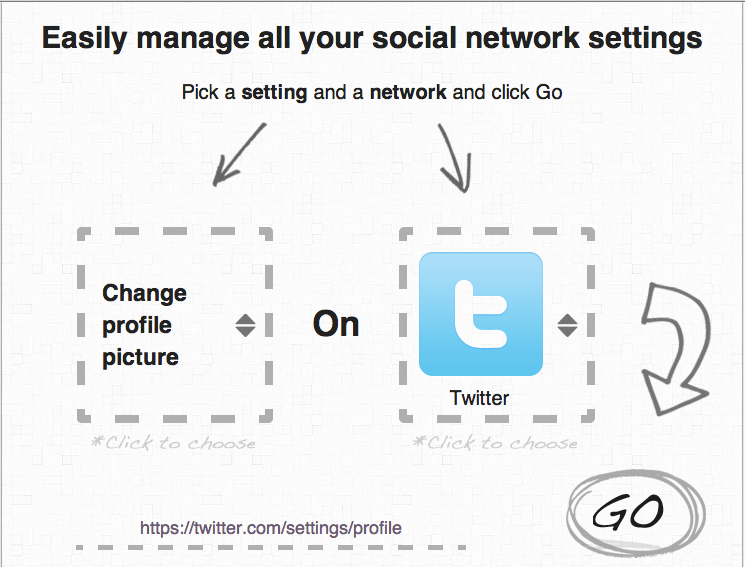 It lets you quickly access links to any settings page on the top social networks. If you want to change your bio on Pinterest, you select that option on the Bliss Control homepage, hit “Go” and you will be taken to the right place on Pinterest to change your bio. This is made by the same team behind Notification Control, which let’s you easily update your email notifications on multiple social platforms from one place.